the Martindale-Hubbell Bar Register of Preeminent Lawyers, and The National Association of Distinguished Counsel. Attended Georgia Institute of Technology (1966-1968); Mercer University (1968-1970) A.B. – 1970; Walter F. George School of Law of Mercer University (1970-1973), J.D. – 1973. 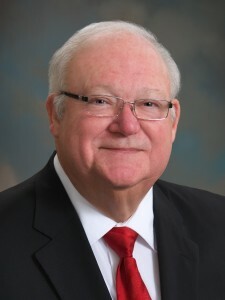 From 1973 to 1989, David Rainwater practiced law throughout South Georgia, specializing as a trial lawyer. He was one of the first ten lawyers in the State of Georgia to become Board Certified as a civil trial lawyer by the National Board of Trial Advocacy and one of the few lawyers who became “AV” rated and a member of the Bar Registry of Martindale-Hubbell in less than ten years of practice. The Martindale Hubble Law Directory has given his firm the highest rating possible: an “AV” rating for legal ability and reputation in the legal community and identifies it as a member of the Bar Register of Pre-Eminent Lawyers, the ” best of the best.” In 2010, David Rainwater was recognized as one of the top 100 lawyers in the State of Georgia by the National Trial Lawyers Association and is served as the Chairman of the Georgia Trial Lawyers Family Law Section in 2010. From 1990 to 1997, David Rainwater left private practice to serve as First Vice President and General Counsel of Central Bank and Trust in Cordele, Georgia, and later as Executive Vice President and General Counsel for American Network Services, Inc. of Norcross, Georgia. As a co-founder of American Network Services Rainwater was part of the management team that created “DEPONET®” the largest legal support network in the world. After selling the company in 1997, Rainwater returned to private practice in Cordele in November of 1997. Rainwater has recovered over $100,000,000 in settlements, verdicts and recoveries since 1998 for the citizens of SouthWest Georgia. Author: “Georgia’s New Collateral Source Rule,” Mercer Law Review, 1987.”Annual Survey of Georgia Law, Trial Practice,” Mercer Law Review, 1988. Marriage, Divorce, Separation and Other Torts, Family Law Journal, Winter 2013.